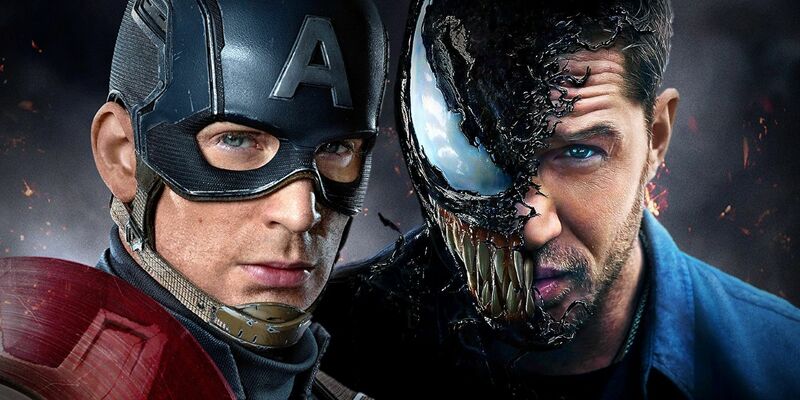 There’s no denying the hints that Chris Evans may be done playing Captain America after Avengers 4 – but it could be the perfect way to bring Venom into the MCU that fans have waited for. For Eddie Brock, it’s a chance to prove he’s a superhero. But for The Avengers, it can reveal the truth about S.H.I.E.L.D.’s own attempts to create a Symbiote Super-Soldier – knitting Venom into the MCU through Nick Fury, instead of Spider-Man. Before we get into explaining HOW a character like Venom can replace Captain America, and how Marvel Comics history actually makes it the most obvious solution, it’s worth convincing fans that Steve Rogers even COULD be replaced by a man like Eddie Brock. A reporter, not a soldier. And a reflection of what it means to be a modern do-gooder, not one pulled forward from the 1940s. But a product of military science, all the same… even if Nick Fury was keeping it a secret from Iron Man and the rest of The Avengers. The real question that fans should be asking isn’t how the Marvel movies can deal with Captain America’s retirement – although adding the star power of Tom Hardy wouldn’t hurt. The fans and skeptics of the idea should both be asking: what role does Captain America really play among the Avengers? At least, what role did he play before they were divided in Captain America: Civil War? It isn’t accurate to call Captain America a ‘leader’ – he played that part in combat with Tony Stark’s permission in The Avengers (2012), but if Civil War proved anything, it’s that each Avenger has too much agency to call one or two the leader. 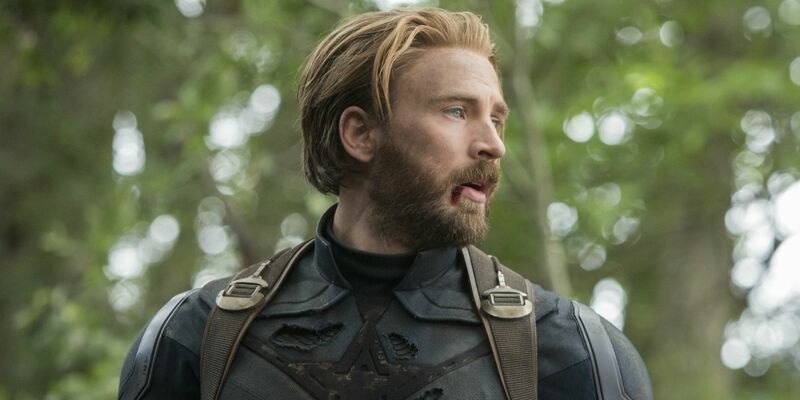 After showing himself to possess the character of a hero long before he had the body, Steve Rogers has instead earned the title of Conscience, or the Moral Compass of Marvel’s heroes. If something feels wrong to Captain America, everyone else should stop and re-evaluate their position on it. And while they seem different on the surface, that is exactly what gives Eddie Brock the potential to become a hero, too. Since his introduction as a supervillain fueled by hate, jealousy, and revenge, Marvel has worked to make Eddie Brock shine not as a 90s-era antihero, but an inherently good person. Good, sure, but far too damaged to call himself a hero (another thing he has in common with Cap). That’s where Eddie has wound up in the modern comics, and that’s the version that Sony built towards for the Venom movie. As a result, delivering a truer version of Venom by ignoring his Spider-Man origins. 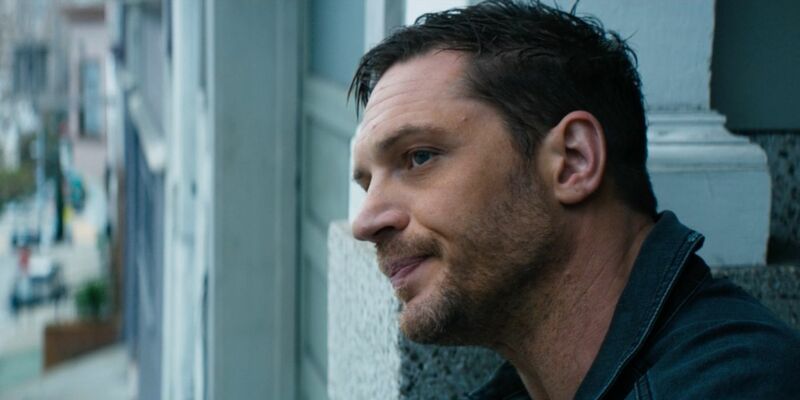 The older fans may have wanted the villain-turned antihero, since that’s who Eddie was… it’s just not who he is. RELATED: Could Spider-Man Already Be Dead in Venom’s Universe? The Venom movie demonstrates Eddie’s integrity, generosity, and social conscience by making him the star of The Brock Report, an investigative series shining a light on the poorest, most vulnerable, and forgotten people in society. And if his conscience or moral compass was ever in doubt, he shows they’re the qualities that made him a good reporter to begin with. Even when he claims to be done “helping his fellow man” after it costs him his entire life, Eddie can’t help but seek out the truth knowing people are being hurt. In fact, he even puts his relationship with his fiancée behind doing what he knows is right: as shown when confronting Carlton Drake, he “doesn’t like bullies” either. It really can’t be emphasized enough, since it’s easy to forget: being a soldier isn’t what made Captain America who he was– who he was is what made him the perfect soldier. Steve Rogers was was a hero, which earned him the right to be super – and as the latest Marvel Comic mega-twist reveals, the same goes for Eddie. Captain America was exactly what S.H.I.E.L.D. wanted in a super-soldier… and Venom is what they wanted with their second attempt, merging symbiotes with soldiers in the 1960s. Nick Fury sure has some explaining to do. This twist is guaranteed to confuse Marvel enthusiasts who haven’t kept up to date on Venom lore, but the widely known, original story of the symbiotes’ “discovery” and first contact with Earth is far from the truth. Eddie Brock only recently learned the real version of history in the new 2018 Venom series, when an aging soldier fools his symbiote enough to take them prisoner. Held captive, the mystery soldier reveals himself to be the last living member of a unit of Symbiote Soldiers. That’s right, the U.S. military knew about alien symbiotes back in the days of the Vietnam War, and just didn’t tell anyone. And considering how shady S.H.I.E.L.D. has shown itself to be already, the same could easily be believed in the Avengers universe. We’ll save the details of the story for the fans who want to seek it out in Venom #1, and say only that the army’s first tests were run using samples of the ancient symbiote dragon-god frozen in ice on Earth (it’s… a pretty wild story). A group of soldiers were hand-picked to be merged with the symbiotes, the lone survivor of which has sought Eddie out to tell him the truth. The latest attempt to create a symbiote super soldier with Flash Thompson’s Agent Venom? It was just the most recent iteration. 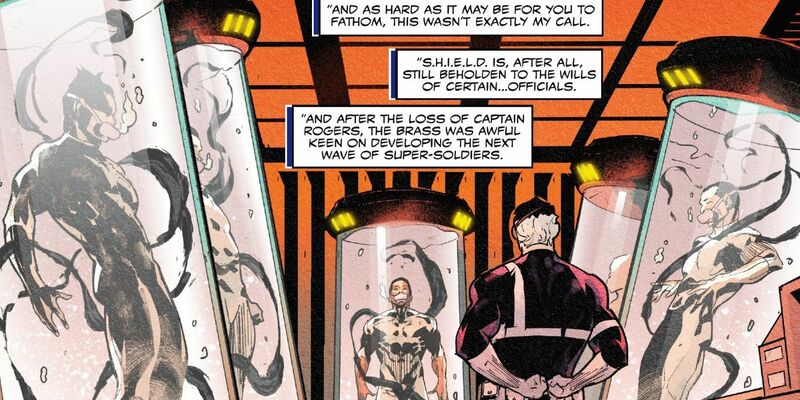 The first Symbiote Soldier Program was run by S.H.I.E.L.D., with the expressed purpose of improving on the science behind Captain America. 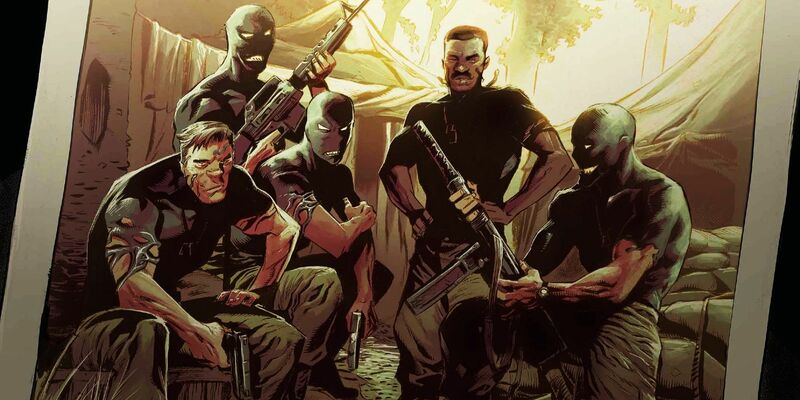 The details of the Symbiote Soldier Program are explored further in the one-off special Web of Venon: Ve’Nam, with Nick Fury describing his own role in its inception. As Carlton Drake and The Life Foundation scientists would learn in the Venom movie, finding perfect symbiosis between alien and human is more luck than logic. Naturally, all but the group’s leader are consumed by their symbiotes in another failure for S.H.I.E.L.D.. But that only means they would have a perfect reason to take extreme interest in Eddie Brock – the perfect example of the Symbiote Super Soldier they wanted to fill in when Captain America first went missing. It may seem almost too easy for Venom to be recruited by S.H.I.E.L.D. to rub shoulders with The Avengers. On paper, he would have the heart of Captain America, but the Jekyll-and-Hyde nature of the Hulk, which could be a problem. That being said, fans don’t actually know if Hulk will return in Avengers 4 either, since he’s apparently done fighting Bruce Banker’s battles – NOT because he was afraid of Thanos. So it’s possible that Venom could help fill two semi-vacant Avenger spots, not just one. It’s still all speculation until Marvel decides whether or not they want Venom beside Spider-Man in their Marvel movie universe. Or, after the success of the film, whether or not Sony wants to let go of Venom at all. But if Marvel Studios wants to make it happen, then this approach – bringing Venom and the symbiotes into MCU history through S.H.I.E.L.D., instead of Spider-Man – seems the best and most unexpected solution. Is this theory created just to get Eddie Brock and Agent Phil Coulson share the screen? Not exclusively… but we doubt any fan would vote against it.